The Sotheby’s sale of the Barbier-Mueller Collection: waxing and waning on Peruvian law. Peru is attempting to recover 67-ish archaeological objects being offered by Sotheby’s Paris’ 22/23 March sale of items from the Barbier-Mueller Collection. An interesting and quite unsurprising move. The US and Peru have had a Cultural Property MOU in place since 1997 banning the import of various types of old things, including artefacts, having previously (since 1990) had an emergency ban on the import of items from the site of Sipán. 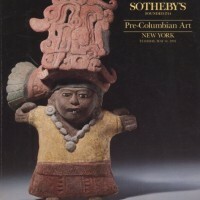 Sotheby’s New York has ignored Peruvian requests to halt the sale of certain artefacts before, causing the feds to seize said items. Bonus awkwardness: Sotheby’s New York is in all sorts of mess over that statue from the Cambodian site of Koh Ker and probably have their hands full. Basically, the moment Sotheby’s takes any of this stuff across a border, things could go off the rails, and if they tried to bring it into the US for a sale, the US would be obliged to halt the shipment at customs and investigate Peru’s claim of ownership because you can’t just take Peruvian antiquities into the US anymore. Or at least you aren’t supposed to be able to. Best leave it in Paris and let whoever buys this stuff deal with the trouble. Of course none of that could be a factor. Who knows. I am not a lawyer. That should be obvious to everyone, especially lawyers. However, I do spend an unhealthy amount of my waking hours thinking about South American law in historical and social context. Not really if the law is/can be applied (working on that), but rather why it says what it says when it says it. 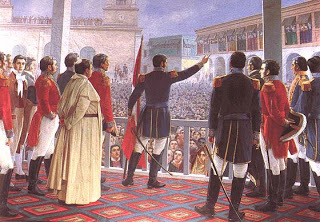 I think about the Revolution quite a lot and, honestly, I really have trouble believing anything much came out of Peru (or “Peru”) in 1822. If it did, it would have been some fuzzy declaration of state sovereignty over land and water. Super broad. Pretty much translatable as “Look, we are a country now, this is us”. At least that is what I thought. I admit that Peru is not my forte. I set about finding out. This thing kinda looks fake. Now tell me, readers, do you think anyone in the Peru of 1822 was claiming archaeological objects for the Peruvian people? As it turns out the personified “Ministry of Culture” was citing Decreto Supremo N° 89 del 2 abril de 1822. Do you know what is really hard to find on the internet? The actual text of Decreto Supremo N° 89 del 2 abril de 1822 as opposed to summaries written by others. I hate this. I really do. Wow, okay…if it says that, that is a bit of a surprise. I really want to see this law now. From that little summary I honestly can’t tell if baby-Peru fully claimed archaeological OBJECTS as property of the nation. Monuments, yes. Extraction, no. But do they say “we, Peru, own this stuff”? Because, you know, I am not quite sure they did. Why you ask? Well that ‘effin mess that was Peru v. Johnson. I guess I wonder where Peru is going with citing the 1822 law if, in the past, international courts have not seen that as proof of an ownership claim. Maybe the personified Ministry of Culture was just saying stuff that sounds good. Maybe it is because some (but certainly not all or even most: some of this crap is from the 2000s!) of the Barbier-Mueller stuff may have a pre-1929 provenance? I don’t know. 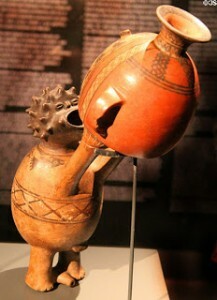 I would love to see what Peru sent Sotheby’s. I would love to see Decreto Supremo N° 89 del 2 abril de 1822. Email me if you can provide either! And sleeping hours. A few days ago I dreamed that I was looking up at a massive grey/white skyscraper from its base. I knew, just knew that the skyscraper was “the law of Uruguay”. The skyscraper was all Uruguayan law. Then I woke up.